Ready to commit? Download the Confirmation of Commitment Form. Not sure? Read on! 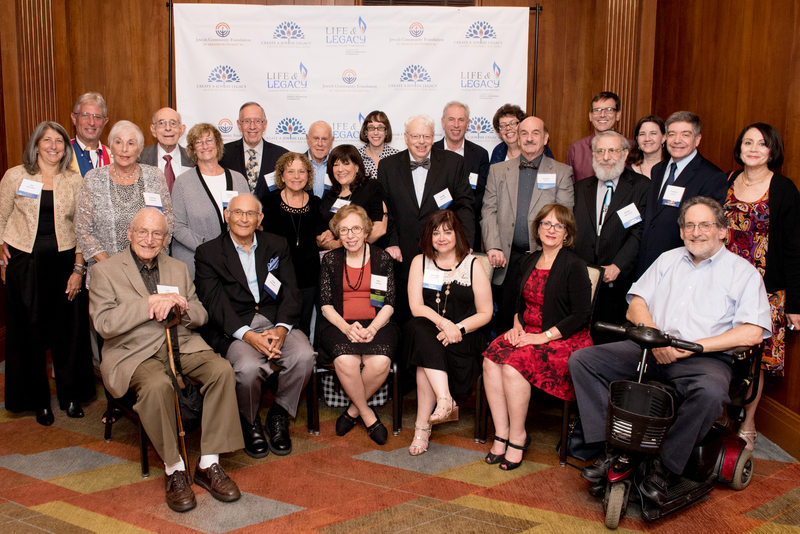 CREATE A JEWISH LEGACY SEARCHES FOR ITS 70TH PARTICIPANT AND BEYOND! On behalf of the Create a Jewish Legacy Team at TBEMC, L’Shana Tovah! May your year be healthy and happy. As we enter into our 5th CJL year, and 101st as a shul, we reflect proudly on our history and heritage. We qvell knowing that 69 of our fellow congregants have already made future financial commitments to TBEMC in the form of legacy gifts. It is their small way of saying they care about our shul, appreciate what it has done for them over all these years and their way of assuring that TBEMC will be here for future generations. 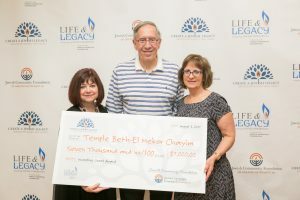 With their help, our shul has created and will maintain a future giving program which will go a long way to supplement increased costs of operations down the road. This is crucial because research has shown that within 10 years, 20% or more of future operating costs will be borne by legacy gifts or other endowments. Dues alone cannot sustain places like our shul, especially under our new sustaining pledge model. This month, we thank the Estate of Fred Kant for their legacy gift. 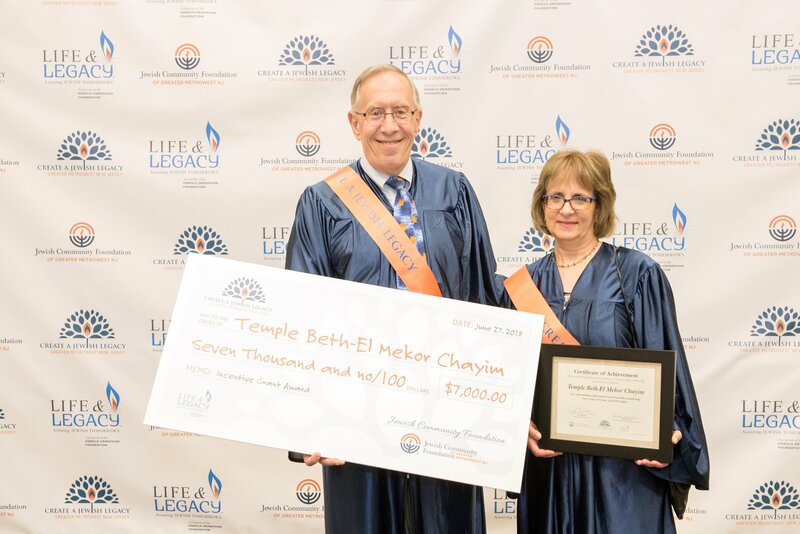 Fred and Clarisse always loved Jewish Music, and years ago created the endowment which has assisted TBEMC in funding its choir. 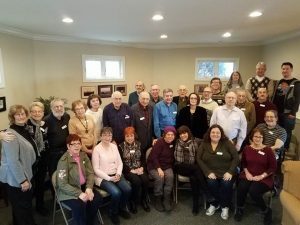 It is people like them who are the heart and soul of our shul. We remind you that Rosh Hoshanah is an excellent time to make your future commitment. Keep Judaism and TBEMC alive. Talk to us – we can help. Making a legacy gift now does not take current dollars away from your personal use. Our future gifts range from $1800 to $100,000, and each one matters! Make TBEMC year 101 the year you personally give back to TBEMC. You can be the next great ancestor by joining our Legacy Circle now! Call David Springer at 908-370-1890 or Laura Cohen at 908-389-1744. 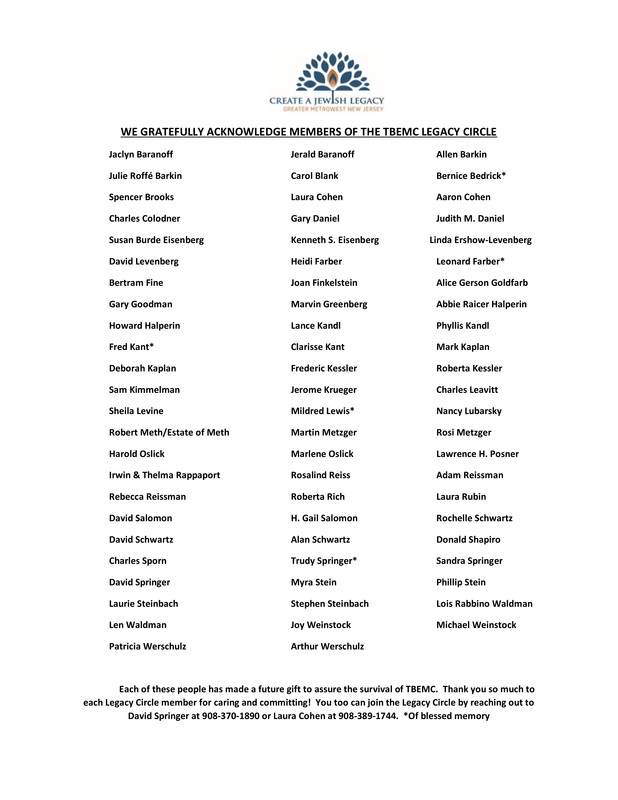 Please add your name to our prestigious Legacy Circle. Don’t put it off. 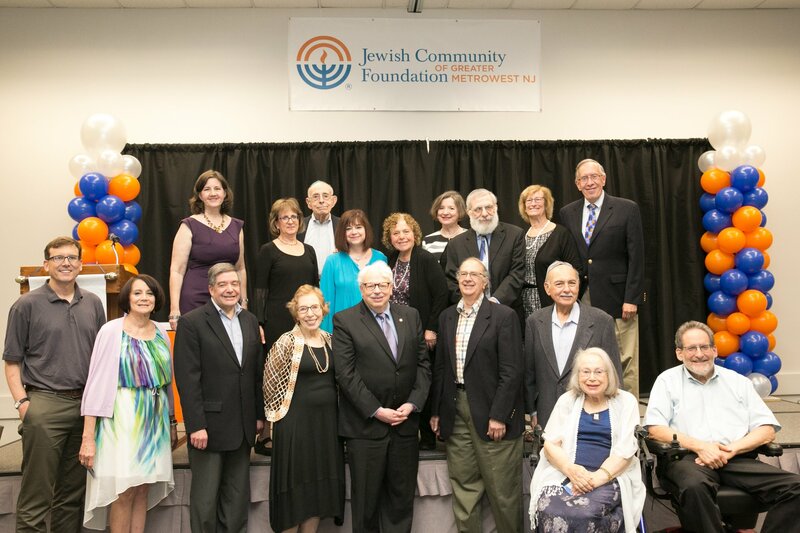 Jewish Community Foundation of Greater Metrowest names TBEMC a participant in the CJL Program. To get started, download the Confirmation of Commitment form.